• Most Brides book local suppliers, so we use Location Data to display the nearest companies first. • This means your business will be at the top of every listing for customers nearest to you. • To give you the best response, we boost your listing using live browsing data from the Asiana Audience Network. • So if you’re a Photographer in Birmingham, we’ll promote you to brides that are currently searching online for wedding services in the West Midlands. 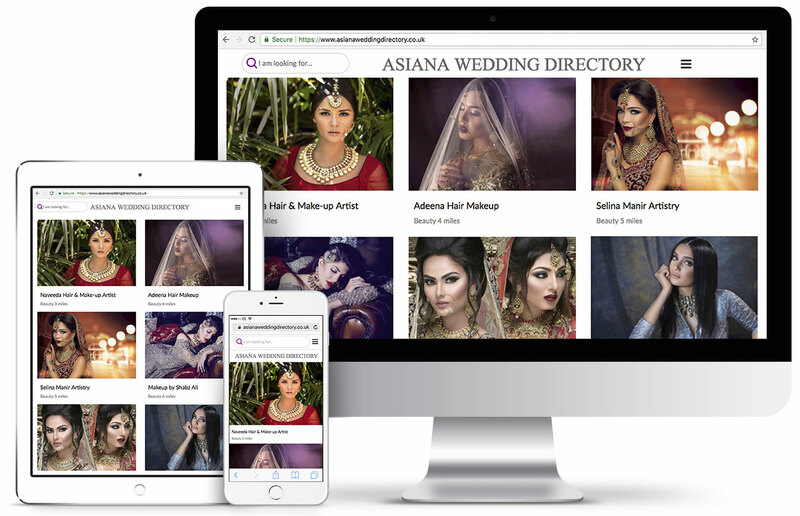 • The Asiana Wedding Directory is available on all platforms, so Brides can discover your business anytime, anywhere.